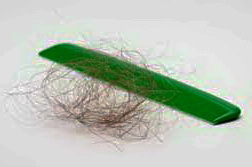 Taxotere lawsuits alleging women suffered permanent hair loss as a result of using Taxotere have been filed. Their allegations of Taxotere side effects are seemingly supported by scientific studies that suggest a link between the use of Taxotere (known generically as docetaxel) and the development of alopecia. Hair loss (alopecia) is a usual side effect of chemotherapy, but most patients expect that once the chemotherapy is stopped, their hair will grow back. As the study’s authors note, chemotherapy-induced alopecia is a distressing side effect of chemotherapy, with one study participant stating she would rather have not received any chemotherapy than having developed permanent hair loss. Experts have noted that in recent years more patients are suffering from permanent, irreversible hair loss. As a chemotherapy drug, Taxotere is used to treat certain cancers, including breast cancer, prostate cancer and advanced stomach cancer. It is designed to work by preventing the growth of cancer cells within the patient’s body. But some patients claim it caused them to permanently lose their hair. A study published in the Annals of Oncology (2/14/12) suggests docetaxel is associated with an increased risk of permanent alopecia. The study involved 20 female patients who were treated for breast cancer, treated with docetaxel, and developed permanent alopecia. Researchers ruled out mineral deficiencies and thyroid disorders as a cause of the alopecia, and noted that all but one of the patients had no history of alopecia. Following a treatment regimen of fluorouacil/epirubicin/cyclophosphamide (FEC) followed by docetaxel, all patients developed similar signs of alopecia, including loss of hair within two weeks and incomplete hair regrowth within four to six months. Data collected led researchers to conclude that “severe and permanent” female hair loss is a side effect of the FEC-docetaxel regimen. Because the study has a small sample size and did not have a control group, more research must be done into a potential link between Taxotere and permanent hair loss. The study did not show that Taxotere causes the hair loss, although researchers wrote that a systematic prospective screening of all breast cancer patients in their institution did not find any breast cancer patients who were treated using anthracycline-based regimens and developed severe, permanent scalp alopecia. Meanwhile, in a presentation to the National Cancer Conference (2014), researchers reported their findings from a survey of patients who received docetaxel. Of 189 questionnaires sent out, 134 were returned. Twenty-one respondents noted persistent scalp hair loss. Lawsuits have been filed against Sanofi-Aventis, maker of Taxotere, alleging patients were not adequately warned about the risk of permanent hair loss. One such lawsuit was filed by Ami Dodson in the US District Court for the Northern District of California. That lawsuit is case number 3:16-cv-01251.